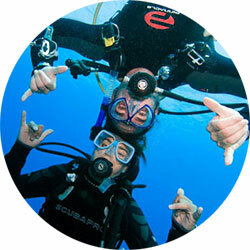 The PADI Open Water Course is the most widely recognized diving certification in the world. As a certified Open Water Diver you will have the freedom to dive with a buddy independent of a professional. This course takes only 3 days. To enroll in a PADI Open Water Course or Junior Open Water Diver course, you must be 10 years old or older. You need adequate swimming skills and need to be in good physical health. No prior experience with scuba diving is required. 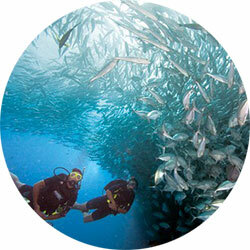 PADI eLearning is an online course enabling students to complete the self study (theory) sections of the open water course online, at their own pace, before leaving home for their vacation. It frees up vacation time to spend having fun, rather than studying a PADI manual. 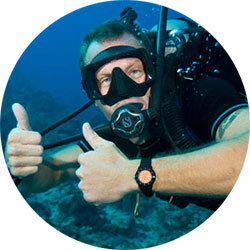 The PADI e-Learning is convenient. It is easy and you can access the program at any time day or night. PADI Open Water Diver Elearning uses videos, audio, graphics and reading to help you learn, plus short quizzes that let you gauge your progress, and then offers a review of anything you happen to miss.